In 2018, Mike Gorton played his last hockey fundraiser for SIRF, assisting team NFI in winning the twenty-fifth installment of the event. In 2019, the tradition continues with a new timeslot and venue. 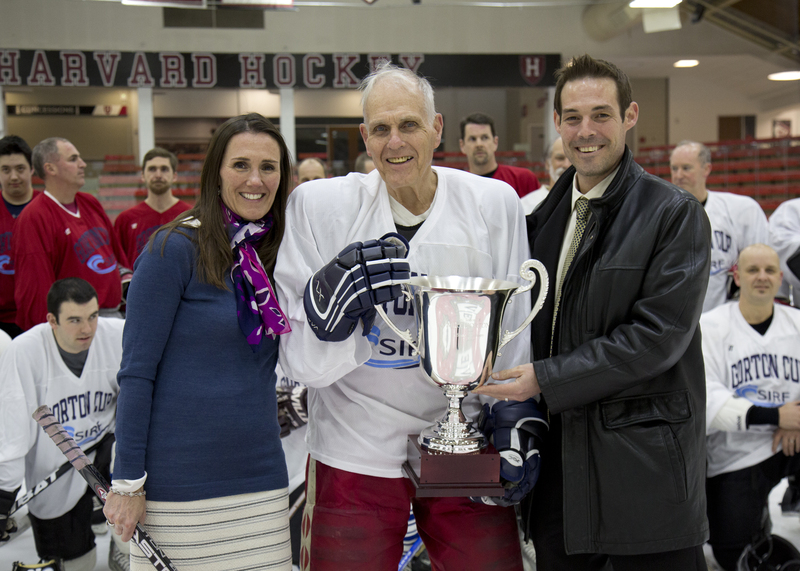 Moving from its longstanding location at Harvard, the Gorton Cup will take place at Boston University’s Walter Brown Arena on Sunday March 17th from 6:00 – 7:00 p.m.
Changes to the event’s time and location will make the event more accessible to attendees at the nearby Seafood Expo North America. Closer to the Boston Convention Center with an earlier start time, the 2019 Gorton Cup hopes to attract a gathering of SIRF fans to cheer on team’s NFI and Seafax in friendly competition. Interested players are welcome and should contact jvoisine@seafax.com for details. Fans, family and colleagues are encouraged to attend. Donations received from the Gorton Cup, over $1 million historically, go towards sponsoring studies to improve the seafood industry.